Another Negah-e No film featuring the Iranian poet Shams Langaroudi. Iranian films have always left me spell-bound, they fervently grip you & leave a lasting impression that lingers on your mind for a very long time. Iranian films present an emotional spectrum of an individual based on moral & social values in the wake of the ever changing political tension, and dynamics of inter-relations of those individuals within the family with great nuance. The latest debut Iranian film by Writer-Director Behtash Sanaeeha, Risk of Acid Rain is a riot of an impassive but gorgeous imagery painted with the distinctive colors of loneliness suffered by an elder man struggling to attain the emotional stability in the midst of an unusual friendship with two unlikely lost young souls. Behtash Sanaeeha sketches Tehran in a mystic way that is enthralling & restless in its own way. With his immense sense of direction, Behtash allows the camera to follow his characters in a very elegant manner that reminisces of Abbas Kiarostami’s work. Risk of Acid Rain takes a closer look at loneliness, keeping a man in his twilight years at the vantage point. After retirement from the Iranian Tobacco Company, Manouchehr’s mundane life revolves around collecting the bread at dawn, watering plants, looking endlessly on the road like his own life has been painted on it, and as a force of habit, he turns up to the office now & then and hauls the chair. Emotionally unplugged after the death of his mother, his wretched face with shallow stilled eyes speaks volume about his loneliness and longing for an emotional connection. He embarks on the journey to find his long lost friend, Khosrow in Tehran, which he believes will bring rest to his mind & render him some peace. After his failure to know whereabouts of Khosrow, Manouchehr first meets an idiosyncratic hotel receptionist Kaveh, who is a chipper & Facebook addict. Though Kaveh comes as an extrovert person, he often gets high on marijuana to escape his own fate & the hurdles he faces in Tehran (or broadly speaking this world) which doesn’t give him room to espouse his own way of living. Though getting high is a temporary solution, he plans to emigrate to Mars to elude the socio-economic problem & mounting unrest around the globe. Adrift Masha takes refugee in the same hotel who approaches Manouchehr with the request of him donning as his Uncle to sign off from the clinic. She has devoted her life to taking care of her old lovable granny. She is a cleaning freak who is mostly busy playing fruit ninja but deep down she is herself struggling to find the stability in her life. These three eccentric characters come together to form a striking friendship, sharing tidbits of their deep down agony. Risk of Acid Rain is a very subtle & minimalist film that never gets preachy about life & loneliness, instead Behtash incorporates long shots & beautiful terrine imagery that gives needful dimension to the film. Even the long silent scenes are fused with the soul stirring music which renders deep and profound impact that heightens the pain inflicted by loneliness. 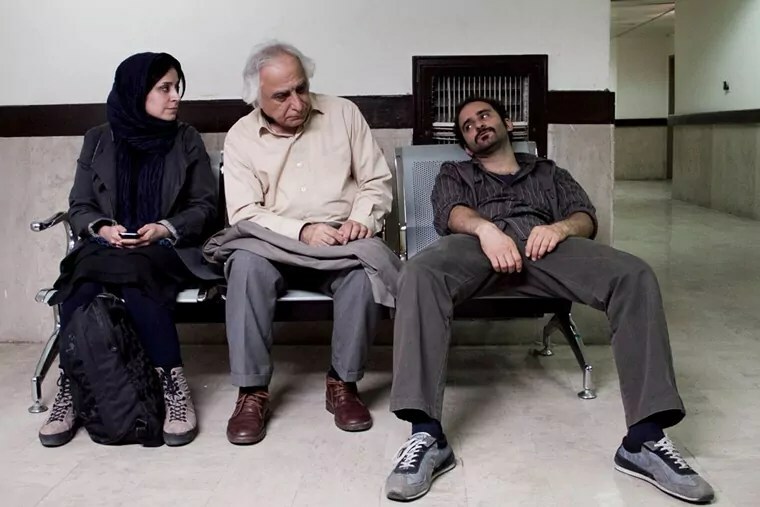 The script of the film is sprinkled with terse humor that may be new to Iranian films; like old man smoking pot & three characters jaunting around the city in the night. "Risk of Acid Rain", another Negah-e No film featuring the poet Shams Langaroudi, was a slow but rhythmic story on the journeys we make alone and the threads that bind us. It is probably the first Iranian movie where an old man smokes marijuana, gets high, and eats the night away. All was well-acted, without a hint of dramatics or preachiness, and the two young actors, Maryam Moghadam and Pouriya Rahimi, were outstanding as the old man’s unlikely friends." The saving grace of the festival were the sections Negah-e No (New Look), featuring films by first-time directors, and Honar o Tajrobeh (Art and Experience Cinema), dedicated to less mainstream, artistic films. One wonders if these two together shouldn’t have formed the main competition section. First-time directors seem to have much to teach more established film-makers."